Nigel Farage has claimed Donald Tusk's "special place in hell" comments were about him. The former UKIP leader and MEP appeared on the breakfast show to discuss the remarks made by the European Council president yesterday, in which he condemned those who "promoted Brexit without even a sketch of a plan how to carry it". "Above all it was me he was thinking of," Farage told Julia Hartley-Brewer. "I meet these characters every month in the European Parliament, so I have the misfortune of knowing them." Farage, who was a prominent Leave campaigner, said he thought Tusk and others who supported his comments, including Belgian politician, Guy Verhofstadt, were "not very nice people". "If you listen to the tone of his voice, you look at this eyes... he meant it," Farage said. "It was backed up hours later by the even more appalling Guy Verhofstadt who then tweeted hell is too good for them. These are not very nice people." 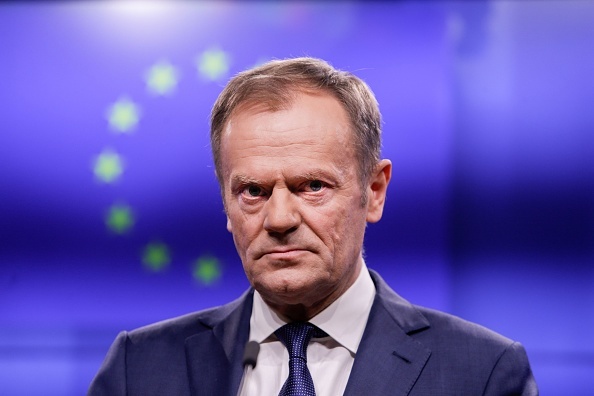 Despite fiercely opposing Tusk's comments, Farage said that the European Union were getting "scared" as Brexit day nears. "They're genuinely scared. I sat next to Juncker and Barnier last Wednesday in the European Parliament. I gave a speech about the way forward and I said that their arrogance was driving British public opinion to a WTO Brexit. "It is the first time I have seen Juncker and Barnier look scared."